Our mission at Mountain State Children’s Home (MSCH) is to extend Christian services to hurting children in an effort to meet their physical needs, heal their emotional hurts, challenge their minds and teach them moral principles, in order to reach the goals of reuniting them with their families or preparing for independence. Mountain State Children’s Home is a non-profit facility sponsored by the Longmont Church of Christ with the guidance and oversight of a Board of Directors. 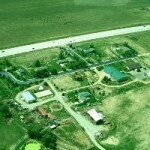 MSCH sits on a 155-acre farm just north of Longmont on Highway. MSCH provides services to children in a rural setting. At MSCH, children receive an education through schools in the St. Vrain Valley School District and/or attend the Mountain States Children’s Home campus school. This has taken an important role in the overall balance of the programs in building self-esteem and achievement. Education, Counseling, Spiritual Involvement, Family Model Living, and New Opportunities are all a part of the successful programs that teach the importance of a balanced life. Most of the children have been privately placed. Children are also placed by social services or other agencies. A minimum one year placement is encouraged. Case plans are designed to address problems and solutions. The goal is to reunite children with their families if possible when both are ready. MSCH welcomes referrals from school counselors, ministers, law enforcement officers, parents, grandparents and others. MSCH has garnered many faithful supporters who have donated funds for the hundreds of children that have been served since the beginning. Over 70% of the funding comes from individuals with the remainder from local business, civic groups, churches, foundations, and service organizations. There are over 300 volunteers that contribute their time and talent to this unique and special work. Your generous donation will enable us to continue helping those area children who are in need.